I dug around my photo folders and found the two pictures above, taken in the summer of 2011 and 2012 respectively. The first photo is less obvious but if you look far back into photo, you can see the water level that’s more or less the norm. 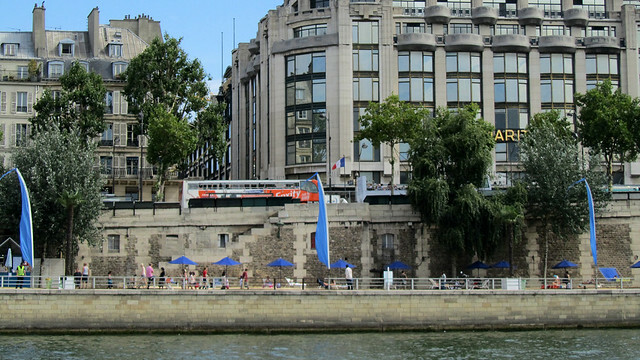 People who went to the Paris Place would not even be able to dip their toes into the water if they had wanted to, sitting along the riverbank. 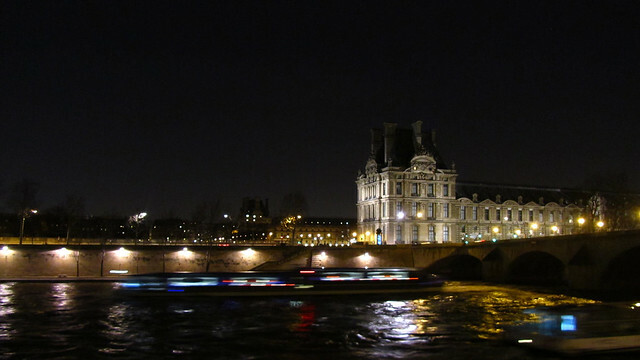 The second photo was taken while I was on a river cruise boat. 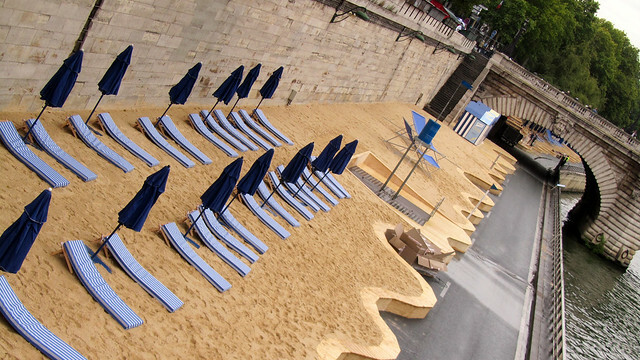 Compare the height difference between the water and the riverbank to the people at Paris Plage! What we have now, is water that’s high enough to lap onto the road on the river front. 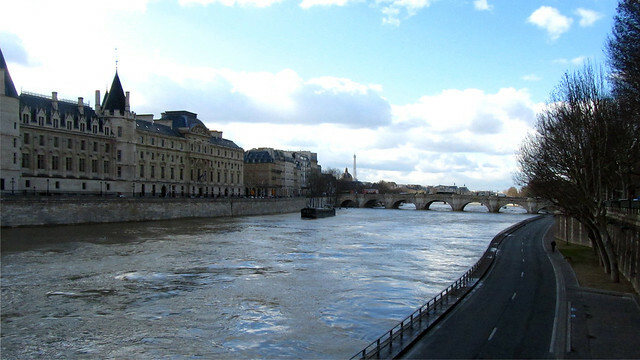 Not only that, we’re also seeing strength of the current manifesting (deceivingly gently) on the surface of the water, a reminder that as gracefully as River Seine parts way for Île de la Cité and Île St Louis, it runs deep and powerful in its own right. 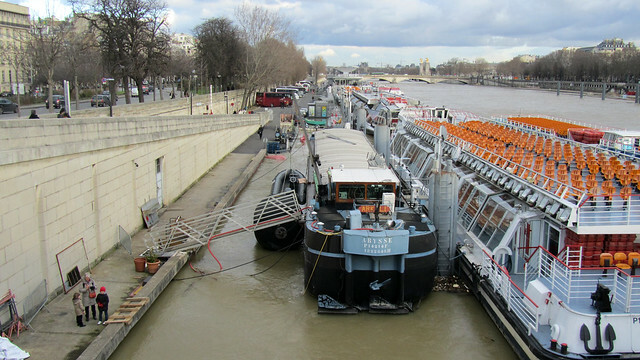 Another consequence of the high water level is that the popular river cruises have ceased temporarily, given the foot passengers can’t even get to the docked boats without getting very wet feet, not to mention they won’t be able to see where the quay ends and the river starts! 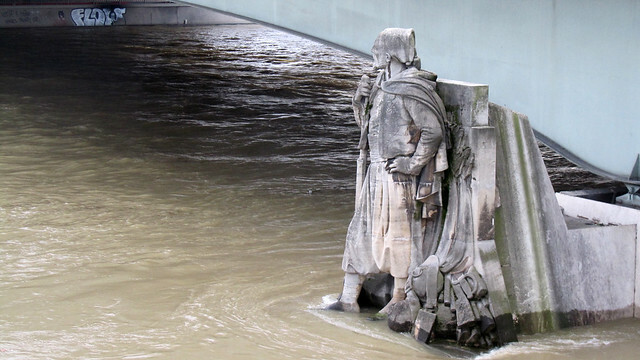 More telling sign can be found at Pont d’Alma, where a statue of a Zouave soldier is commonly used as indicator of water level of the Seine. (Officially though, there’s a proper marker at Pont de la Tournelle for gauging the flood.) 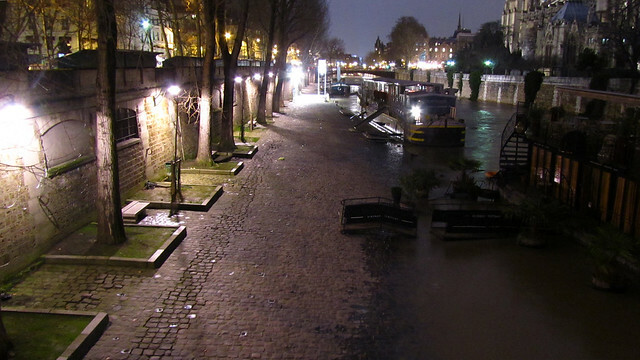 The saying “le zouave a les pieds dans l’eau” is a warning that Seine has flooded, and the embankments are closed to foot traffic. 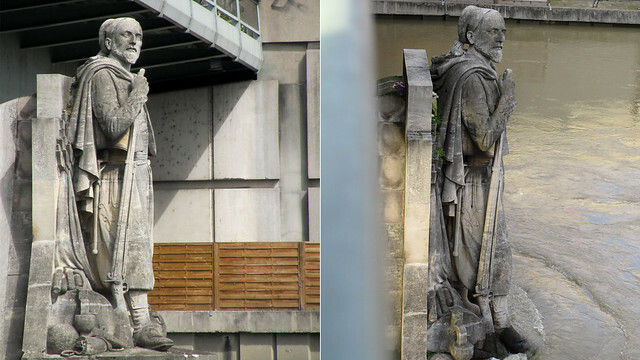 I had only one photo of the Zouave during normal condition (ie dry feet, two photos above, left) but taken from a boat level, at that time, it didn’t occur to me to shoot it more generally so the water level is visible. Boo. Next time, when things are back to the norm. Hopefully, soon. Ps: More photos from the Mairie of Paris. it happens every now and then but not particularly seasonal as far as i know.